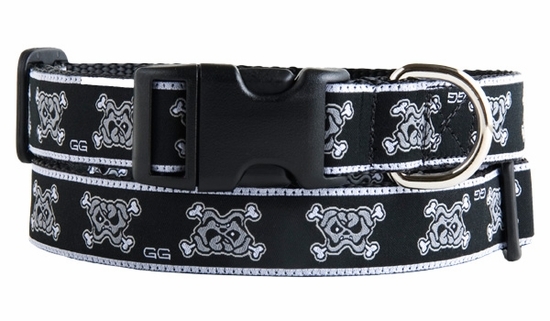 This fun Bulldog Skull Design w/ Pirate's Eye Patch looks great on large breeds as well as the Tough Toy's with lots of attitude. 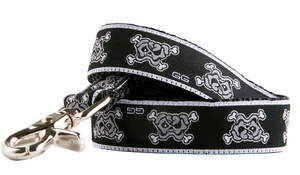 Made in the USA from durable 1/2"XS 5/8 & 1" nylon webbing with high quality nickel plated hardware. Machine wash and line dry.